The Red-backed Shrike, Lanius collurio, is a member of the shrike family Laniidae. Shrikes are also known as butcher birds from their habit of impaling their prey, which consists of large insects, small birds, mammals and reptiles on thorns or barbed wire or in forks in trees and using this as a "larder". Red-backed shrikes are slightly larger, but slimmer, than House Sparrows. The male is unmistakable with a bluish-grey head, black mask, bright chestnut back and thick hooked black bill. Underparts are tinged pink and the tail has a black and white pattern similar to that of a Wheatear. In the female and young Red-backed Shrikes, the upperparts are brown and vermiculated (wavy lines or markings ). Underparts are buff and also vermiculated. Shrikes like to perch prominently on the tops of bushes, fence posts and telephone wires, where they have a good view of potential prey. The Red-backed Shrike breeds in most of Europe and western Asia and winters in tropical Africa. Once a common summer visitor to Great Britain, it is now mainly recorded as a passage migrant. Numbers declined sharply during the 20th century. This dramatic decline to virtual extinction as a UK breeding species make this a red listed bird. By the 1990s no nests were being recorded in the UK. In September 2010 the RSPB announced that a pair had raised chicks at a secret location in Devon where the bird last bred in 1970. 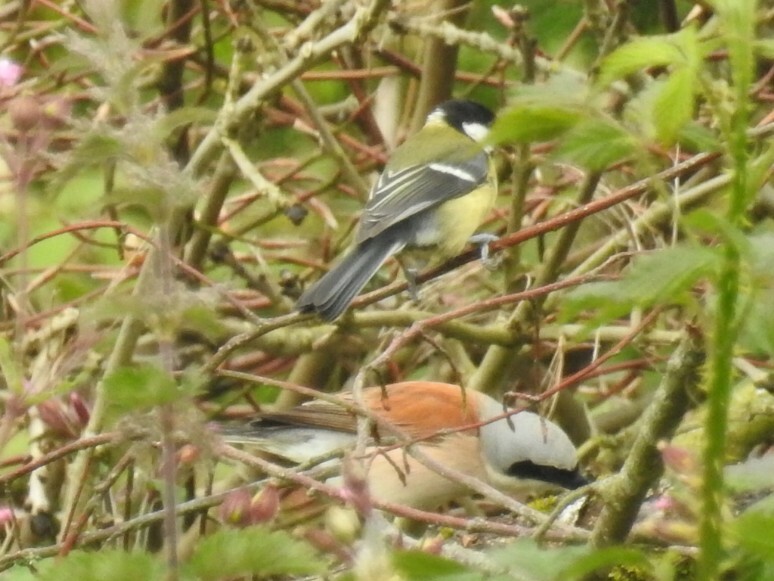 In 2011, two pairs nested in the same locality. In 2012 there was another breeding attempt, this time unsuccessful, probably due to a prolonged spell of wet weather. In 2013 breeding was again confirmed in Devon, with two young fledged at a new site. This return to south western England has been an unexpected development and has raised speculation that a warming climate could assist the bird in re-colonising some of its former haunts, if only in small numbers. 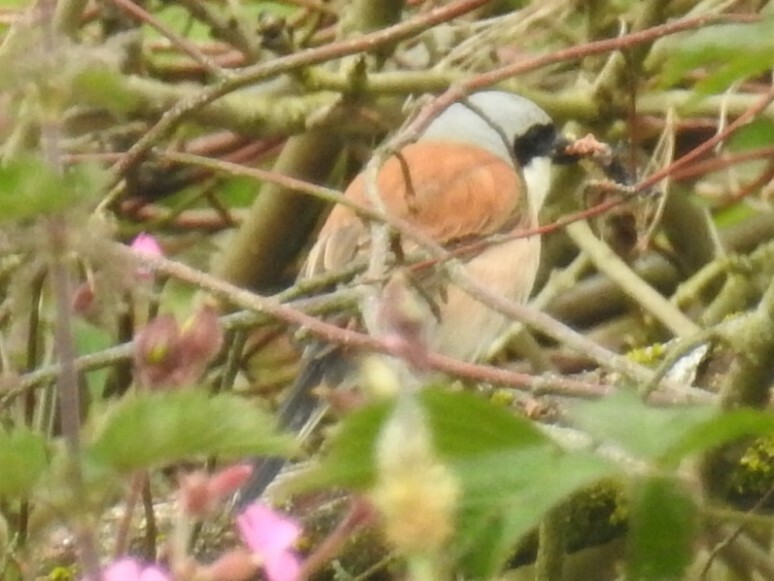 Continuing with the Devon connection, on the 16 June 2017 a couple from Devon were at the Ardlui campsite in Kingscross when they saw and photographed a male Red-backed Shrike. To say that they were delighted by this unexpected encounter on their first visit to Arran would be an under-statement. The last record of this rare vagrant to Arran was twenty years ago when a male was reported in Kildonan on 27 September 1997. The Kingscross bird did not hang around. There was only the one sighting.